The poppy is not just for Remembrance Day, thanks to an ever expanding line of poppy products being sold through the Royal Canadian Legion. The Legion Poppy Store now generates around $300,000 a year with sales of items such as this tote bag. 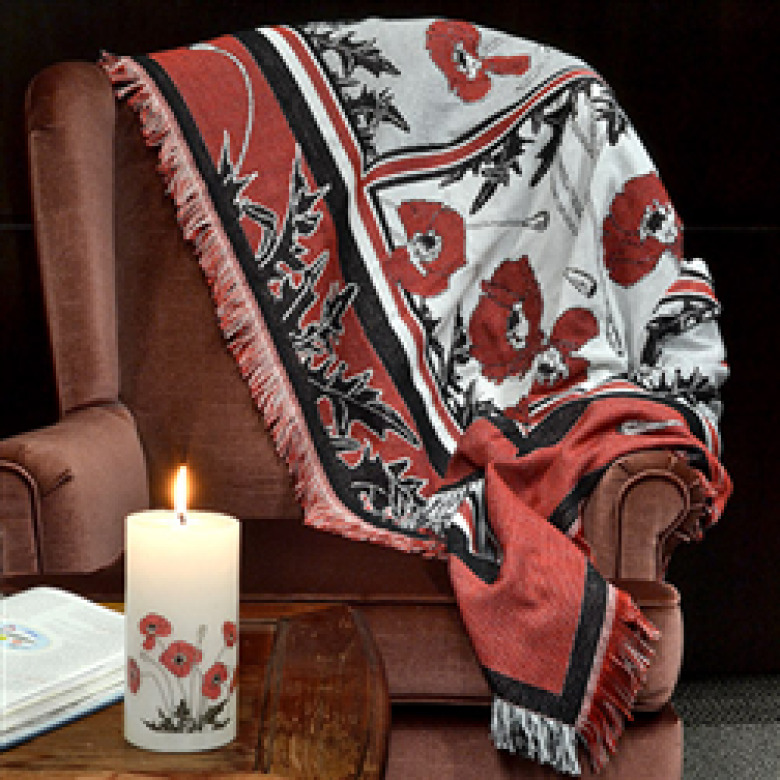 The poppy is not just for Remembrance Day, thanks to an ever-expanding line of poppy products being sold through the Royal Canadian Legion. The poppy products range from clothing, to seeds, to a new bird feeder that was introduced this spring. "They really promote from two perspectives," said Peter Underhill, director of Supply with the Royal Canadian Legion in Ottawa. "To promote remembrance — to help fundraise — but also to encourage Canadian businesses and communities." 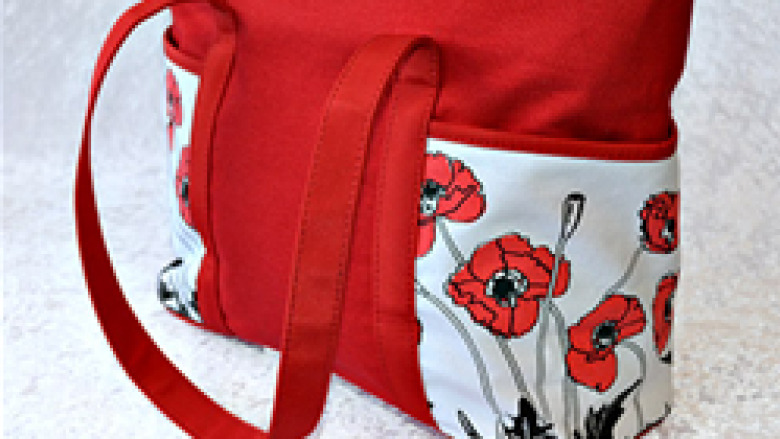 For the last three years, the poppy products have been sold online at the Legion Poppy Store, on the Legion's website. "We've been working with Canadian companies to develop products to try and engage different people using channels and products that are modern," said Underhill. 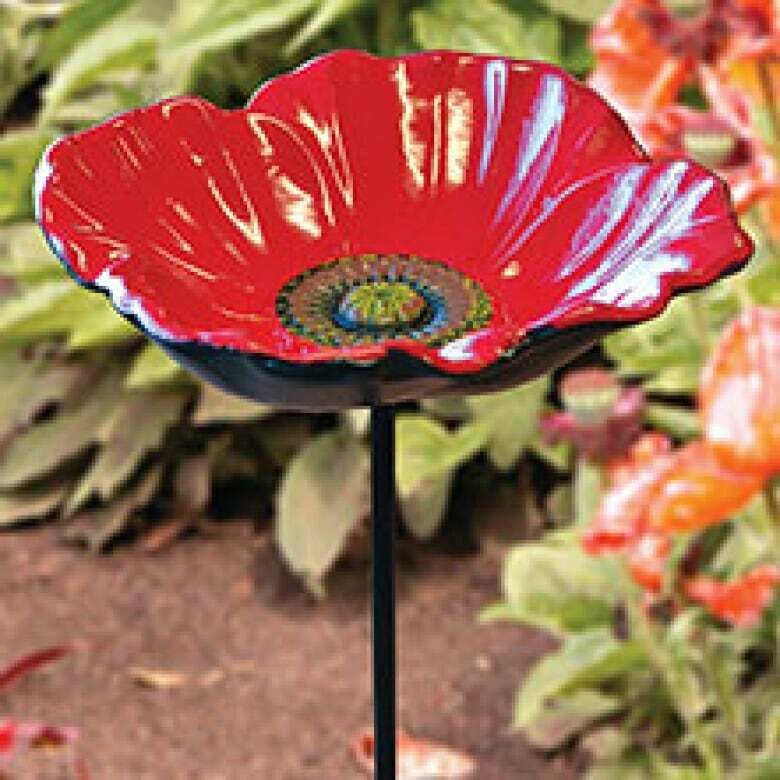 One of the new products this spring is a poppy bird feeder, a cast iron bird feeder in the shape of a poppy, intended for use year-round. Underhill said more than 3,000 sold in first two weeks. The poppy bird feeders were being produced by a company in the United Kingdom and sold through the Royal British Legion. "We do try and keep an eye on what other folks are doing around the world and we noticed them and approached the manufacturer and had some samples brought in," said Underhill. 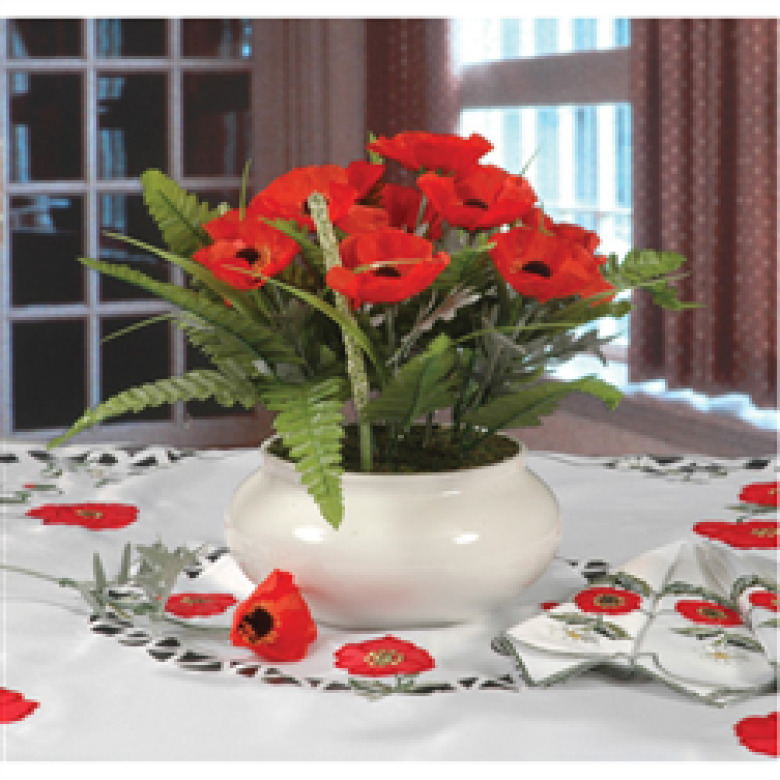 "We were really pleased with the appearance of the product and how it displayed the poppy." In another bonus for the Canadian Legion, Home Hardware will have them in their stores across Canada this fall. A P.E.I. company helped to inspire the creation of the Legion Poppy Store. The Legion started selling packages of poppy seeds six years ago, produced by Veseys Seeds in York, P.E.I. "Initially within the Legion we were doing those as a promotional item that we would produce and distribute through our branches," said Underhill. "But the sheer number of calls we got from people in the public, we were more than happy to start accommodating people." Underhill just placed an order for 25,000 packages of poppy seeds from Veseys, and the Poppy Store now generates around $300,000 a year. The money, said Underhill, goes to important programming provided by the Legion across Canada, including visits to veterans, homeless veterans programs and this year's sponsorship of the Invictus Games. John Yeo, president of Provincial Command for Prince Edward Island, first saw the poppy bird feeders in Ottawa and liked the look of them. He said he is pleased to have awareness and money being raised outside of the 11 days in November leading up to Remembrance Day. "All the legions are promoting them." The bird feeders are not available on P.E.I. but can be ordered online. MORE P.E.I. NEWS | Food Island: Wine and food festivals bring crowds to P.E.I. Knock, knock: Are you a veteran? 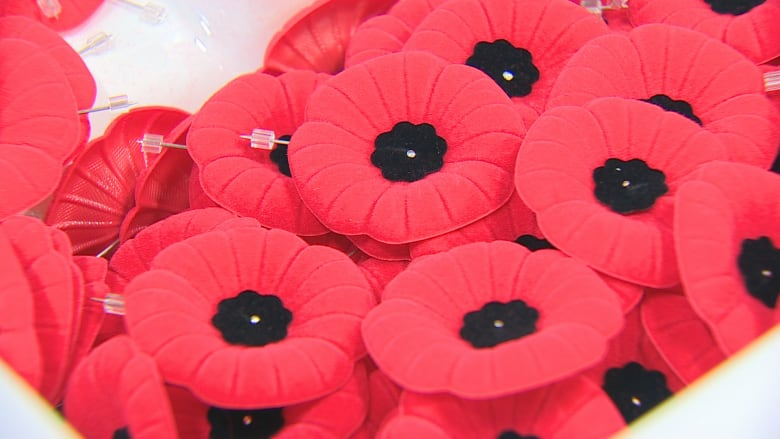 Poppy campaign kicks off on P.E.I.